Lotus Pose: Destroyer of Disease, or Destroyer of Knees? As with all ancient spiritual and religious texts, the author did not have to deal with truth-in-advertising laws. For most people, lotus is a high-risk/low-reward posture: If the hips are tight, stress moves into the knees. But for those smart enough to choose the right parents (and thus end up with the right genes), sitting in lotus is a piece of cake, and always has been—even before beginning their yoga practice. For most people, lotus is a high-risk/low-reward posture: If the hips are tight, stress moves into the knees. So, why are these people so different from the rest of us? What makes them “wise”? Whether it is wise for you to do lotus pose will ultimately depend upon your bones. You may well have to work through some tensile resistance in your adductor muscles, internal rotators, and capsular ligaments. But once you have done all that, what will allow you to safely linger in this posture (or cause you to break your knees) is the shape of the two bones that make up your hip joint: the femur and the pelvis. There are many factors that can affect how easily you can do lotus, or whether you will never be able to do it: the length of the neck of the femur, the depth of the hip socket, the thickness of the cartilage lining the socket (called the labrum), and the degree of laxity of the capsular ligaments and internal rotator muscles. I will illustrate here just two key factors, in hopes of showing you why lotus may never be a good idea for you—or may instead be the easiest pose you will ever do. These factors are the hip socket (called the acetabulum) and the neck of the femur. You can see these in figure 1. Note: When we look at anatomical drawings, we may be forgiven for thinking that all bones are like those illustrated in these drawings—they are not. Anatomical illustrations are composites from dozens or even hundreds of bodies. They average out natural human variations, which gives us a misleading view of our body’s bones. Figure 2 shows two actual pelvises: Do you notice any differences between them? 2 Try to find the hip sockets! 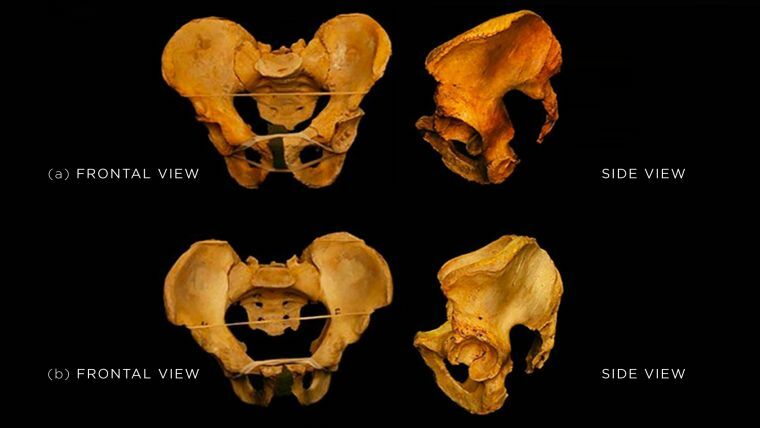 In the pelvis on the top, you can see very distinct hip sockets—but where are they in the bottom pelvis? The hip sockets have varying degrees of version, which refers to the angle across the face of the socket to a line parallel to the side of the body. Some people have sockets with a lot of anteversion (their sockets face much more forward, like the top pelvis); others have sockets with very little anteversion (their sockets face more to the side of the body, like the bottom pelvis). This is more easily seen if we look down on the pelvis. And while photography doesn’t help with that, drawings do—as shown in figure 3. Figure 2: Comparing two pelvises in (a) and (b). Notice the differences, and decide which pelvis will allow more external rotation and which one will allow more internal rotation. 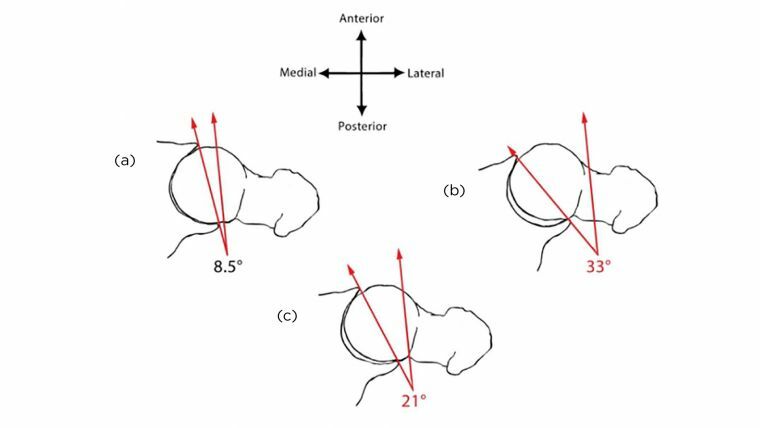 Figure 3: Different acetabular version angles viewed from above: (a) is the lowest angle shown in table 1, (b) is the highest angle, and (c) is the most commonly cited average. Everyone is different and you are not average. (To quote one famous doctor: “No one alive is Youer than You!”) 3 Ranges of version of the hip sockets are shown in table 1, which summarizes five different studies. What is important is not the average, but the range of values found in each study. The ranges are “normal,” which means that 95 percent of the population falls within these values. Your version angle will dictate how much internal and external rotation your hip will allow you. But this is not the only anatomical factor to consider in determining whether lotus will ever be available to you. There is femoral version as well. 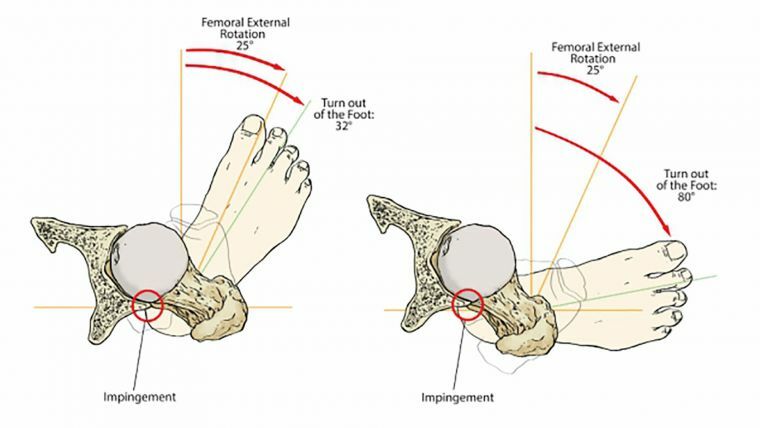 Figure 4: Comparing femoral version: The femur on the left has a retroversion of -4° and will find external rotation relatively easy. The one on the right has an anteversion of 47°, making internal rotation relatively easy. In figure 4, you see two femurs: Do you notice any differences? The biggest differences are their torsions. Torsion means twist. Every long bone in our body has a curve and a twist to it. The twist along the length of the femur results in an angle between the neck of the femur and its shaft. Notice how the neck of the left femur is slightly below horizontal (this is called a retroversion), while the right femur’s neck is rotated significantly upward (anteversion). This affects the orientation of the neck of the femur as it sits in the hip socket. In both cases, each femur’s lower end (which forms part of the knee joint) is facing straight up. 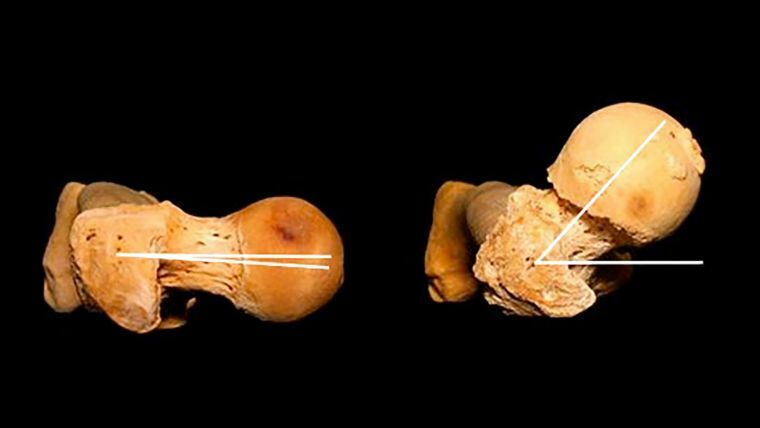 Imagine these two femurs in bodies: The knees would be pointing straight ahead in both cases, but the angle of the neck of the femur into the hip socket would be more from behind for the right femur and more from the side in the left one. Along with the hips’ version, femoral version will also affect how much room there is for external rotation at the hip. The twist of the femur changes as we age, as shown in table 2. 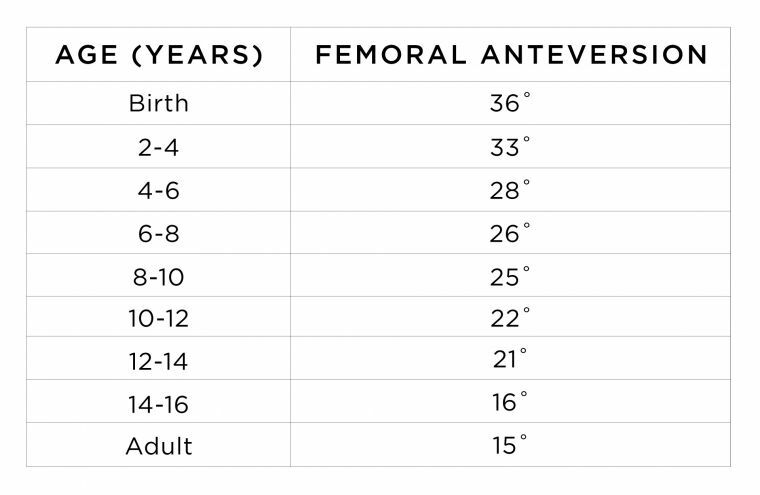 Adults generally average about 15°, with the normal distribution of femoral version ranging from 3° to 27°. That covers only 95 percent of the population, however, which means that one student out of 20 is not normal—and you may be that student! The femurs in figure 4 have versions of about -4° ( a negative value!) and 47°, putting them outside the norm. Being outside the normal ranges, of course, doesn’t mean that the people owning these bones are bad people; they are just unique people! 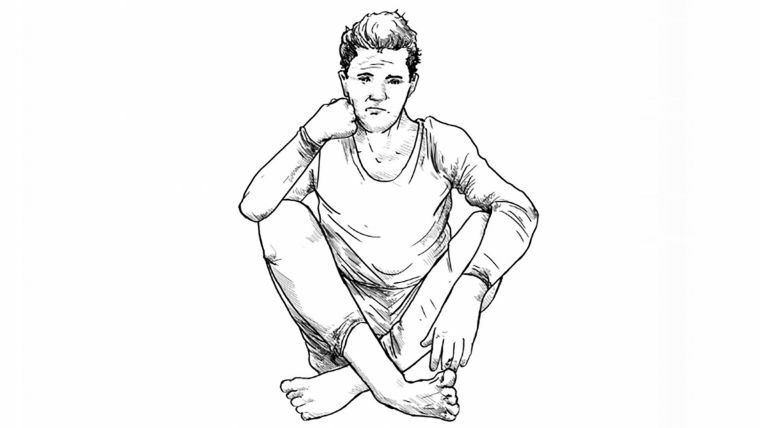 Figure 5: Lotus pose requires external rotation at the hip sockets, as well as flexion and a bit of abduction. Lotus pose requires three movements of the femur in the hip socket: flexion, external rotation, and (for most people) some abduction. We can see these in figure 5. Most people can flex their hips the 90° needed to sit in lotus, as they already do this when they sit down in a chair. And most people can abduct their legs enough as well. The critical limitation to lotus arises in how much external rotation we can achieve. External rotation can be limited by tension in the soft tissues, such as the muscles and ligaments wrapping the joint. But once those areas have been worked with in order to loosen them sufficiently, the ultimate barrier to external rotation is compression: The neck of the femur comes into contact with the rim of the hip socket. That will not change no matter how much yoga you do. Lotus pose requires three movements of the femur in the hip socket: flexion, external rotation, and (for most people) some abduction. If the hip socket has a high version, there is less room for the femur to externally rotate, but lots of room for internal rotation. If the femur has lots of version, again there is little room for external rotation, but lots of room for internal rotation. This is shown in figure 6: The person owning the bones on the left is someone with the worst of both worlds for external rotation. He will never be able to do lotus pose no matter how long he tries. But he will be a great eagle! He can easily wrap his legs around each other in eagle pose because of his large range of internal rotation. 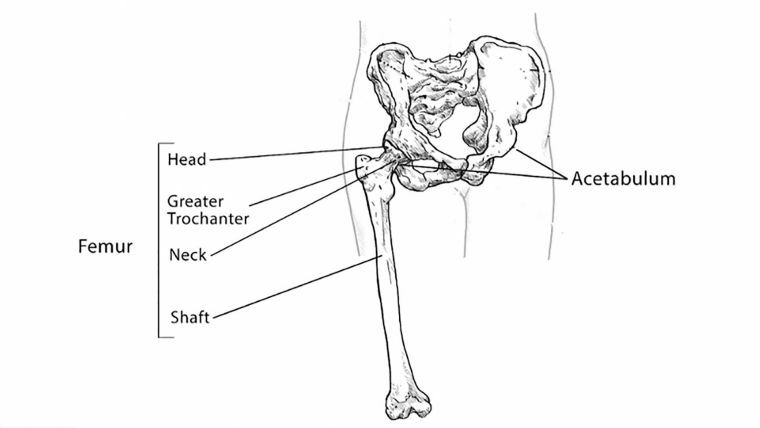 Figure 6: On the left, we see the worst case scenario for external rotation—someone with 27° of anteversion of the femur with 33° anteversion of the acetabulum. On the right, the best case scenario—someone with 3° of anteversion of the femur and 10° for the acetabulum. If the hip socket has a low version, then there is a lot of room for the femur to externally rotate, but little room for internal rotation. If the femur has little version, again there is lots of room for external rotation. The person on the right in figure 6 is someone who experiences the best of both worlds for external rotation—one who has probably always been able to lotus, but hates doing eagle pose. His legs can’t wrap because of limitations in internal rotation. Again, we have just looked at two variables: version of the hip socket and version of the femur. Some rare and highly abnormal people can do both eagle and lotus! This may be because their femur has a long neck and their hip socket is very shallow. Some people can’t do either eagle or lotus. Their neck may be short and the socket very deep. The point is, we are each unique, and not every body can ponder meditatively in lotus pose or fly like an eagle. Maybe you have no problem with lotus—great! Lucky you, enjoy it. 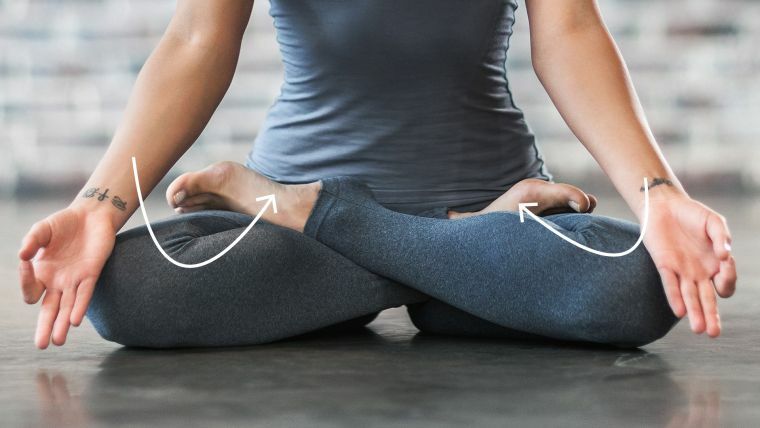 But if you have tried getting into this posture for years and all you get is pain in the knees, please understand that yoga will not change the shape of your bones. Trying to force your body into postures that just aren’t available invites injury rather than liberation. The truly wise person may be the one who simply decides to forego lotus pose. 1. See the version of the Hatha Yoga Pradipika translated by Pancham Sinh, verses 46 and 49, published by Munshiram Manoharlal Pub Pvt Ltd; 5 edition (August 1, 1997). 2. These photos are kindly provided by Paul Grilley—to see more wonderful bones, visit the bone library on his website www.PaulGrilley.com. 3. From Dr. Seuss' Happy Birthday to You published by Random House Books for Young Readers (August 12, 1959). 4. This is a summary of five studies found in Perreira et al., “Multilevel Measurement of Acetabular Version using 3-D CT-generated Models,” Clinical Orthopaedics and Related Research 269.2 (2011): 552-61, doi: 10.1007/s11999-010-1567-2. Included are only those findings that provided ranges of values. 5. See Gulan et al., “Femoral neck anteversion: Value, Development, Measurement, Common Problems,” Collegium Antopologicum 24.2 (2000): 521-7. 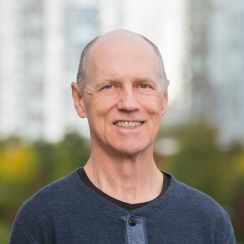 This article is excerpted from Your Body, Your Yoga: Learn Alignment Cues That Are Skillful, Safe, and Best Suited to You by Bernie Clark.